Even in a World Cup year, it's arguable that the Champions League final is still the occasion of the 2018 football calendar. And that's only reinforced by the weight of history surrounding the fixture. 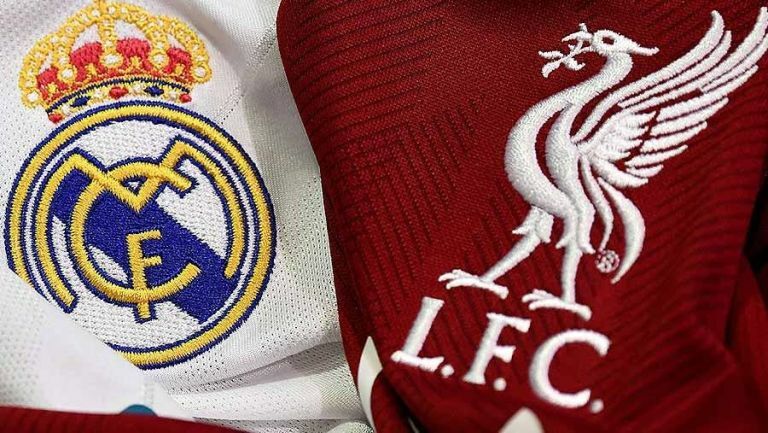 Against all the odds, it's Liverpool vs Real Madrid. And you can watch the final live – and absolutely free – wherever in the world you are. We think it's fair to say that even the most committed Liverpool fans couldn't have predicted this at the start of the season. The Reds' Champions League campaign started way back last August, having to come through the play-off round after finishing fourth in the league last season. But driven on by the brilliance of Mohamed Salah and goals of Roberto Firmino, they've had a remarkable run including the destruction of Manchester City and a 7-6 thriller over two legs against Roma. But a final this Saturday May 26 in Kiev, Ukraine against Real Madrid is another matter altogether. Cristiano Ronaldo's team are looking for a scarcely believable fourth title in five years. The action kicks off at 7.45pm BST (2.45pm ET, 11.45am PT, 8.45pm Madrid time), and below we'll tell you how to watch the Champions League final live stream absolutely free. Keep reading to see how to watch Liverpool vs Real Madrid. Great news! BT Sport is showing the Champions League final free of charge with a live stream on its website and YouTube channel. So if you're in the UK and have access to a PC, Smart TV, smartphone, tablet or pretty much any other streaming device, you just need to head to the site or YouTube at 7.45pm BST on Saturday. If you're watching from home, however, and have previously bought a nice big 4K TV for events exactly like this one, then BT Sport and Virgin are both showing the game in Ultra HD. Once it's been downloaded and installed, open the app and select a UK server location (it's super easy) and then head over to the BT website or YouTube from 7.45pm BST / 2.45pm ET / 1.45am PT / 4.45am AEST in time for kick-off. Where else has a Champions League final live stream? BT Sport's live feed is the only free way we've found that you can watch Liverpool vs Real Madrid, so if you're out of the UK and want to watch without paying then we really recommend going down the VPN route as described above. Fox and ESPN are the official Champions League broadcasters in the US, with the likes of Fox Soccer Match Pass, Fubo or Sling TV all offering shorter subscription services if you don't want to commit to cable. It's TSN and RDS in Canada if you want the local coverage of the Champions League final. Or you could just grab a one month subscription from BeIN Sports for $19.95 if you're desperate enough for your own commentators not to go for the free option up the page. If you've gone to the effort of waking up early enough, you should treat yourself to our free Champions League live stream solution. The alternative is that BeIN Sport offers a free two week trial in Australia, or $19.99 per month after that.